Causes of acne – acne may be a difficult to tackle and upsetting skin condition. It may be caused by hormonal imbalance, some cosmetic products and medication, smoking or can be even genetically inherited. Knowing the root of the problem definitely helps to find an effective treatment and start enjoying healthy looking skin sooner. Sunspots and moles – although sunspots and moles are harmless, melanoma, a type of skin cancer, may look similar in its early stage. Skin cancer, as opposed to sunspots and moles, normally has irregular borders, is asymmetrical, has multiple colours, changes over time and may appear in places not exposed to the sun. When in doubt, it is always safer to seek a dermatological consultation. 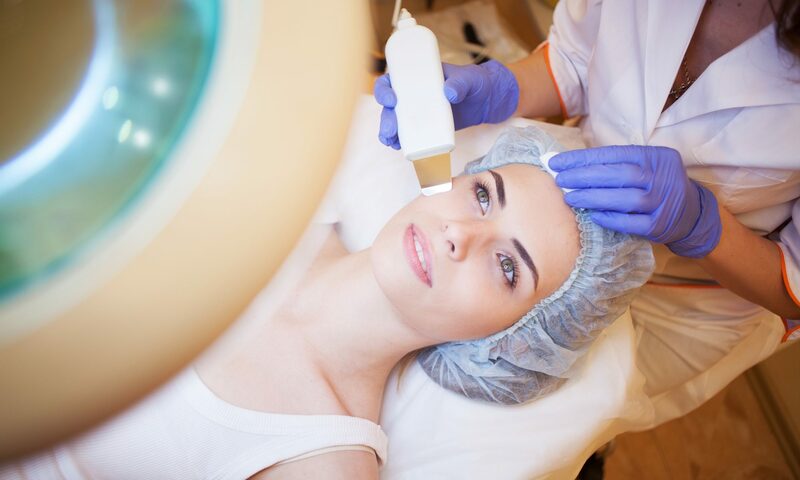 Scar removal – depending on the type of a scar, there may be several treatments that may make it look less visible or remove it. This may include, for example, a steroid treatment, laser therapy or a surgery. A dermatologist may be able to advise on possible solutions. Exfoliating – Although many people exfoliate on a daily basis, this may not be the best solution. Different skin types may need different exfoliants, sensitive skin may be particularly tricky. A professional may help to select the right product and advise on how frequently to use it for the best results. Ingredients and skin care products – Depending on a skin type, some products and ingredients may cause irritation and problematic skin conditions or further already existing ones. A dermatologist can advise on what products or particular ingredients to avoid and which ones are beneficial for the skin well-being. Sun exposure – Some skin treatments may increase skin sensitivity to sunlight, so it is wise to check with a cosmetic dermatologist whether that is the case when starting a new prescription. This is especially important during the summer and when planning a trip to a hot country. Diet – Diet is an important factor affecting skin well-being. Food allergies or extensive sugar consumption can harm skin, while a healthy, balanced diet with plenty of antioxidants, healthy fats and vitamins helps to keep skin in a fantastic condition. A dermatologist may suggest some dietary changes to improve skin health. Facial – Combining some skin treatments with facials may cause additional problems such as irritation and reduce or completely eradicate the effectiveness of the used medication. Therefore, it is important to check with a dermatologist whether a facial would safe before booking a spa day.